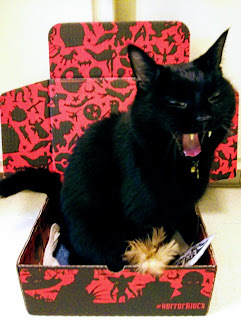 Vicktor claimed my Horror Block Box. The main reason is instinct. Cats will look for safety and retreat to a space where they can observe, but be hidden. It gives them a sense of security and therefore reduces stress. 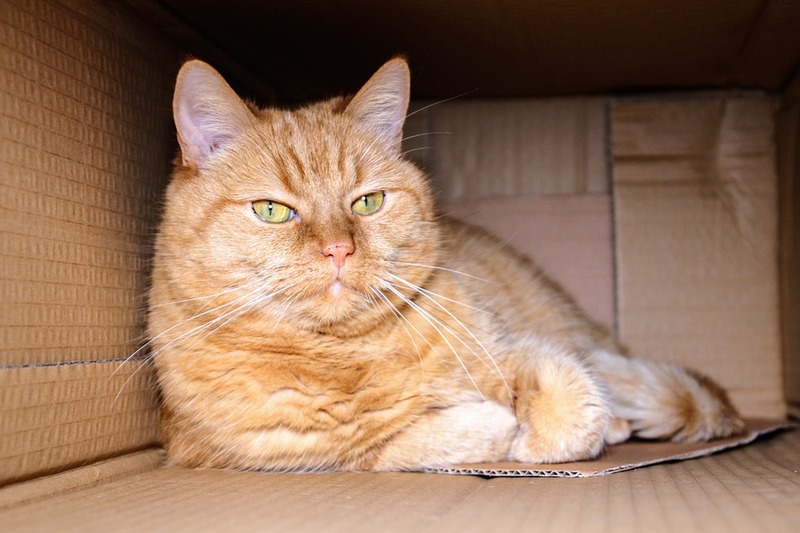 There have even been tests among shelter cats concerning boxes. Some were given boxes and others were not. 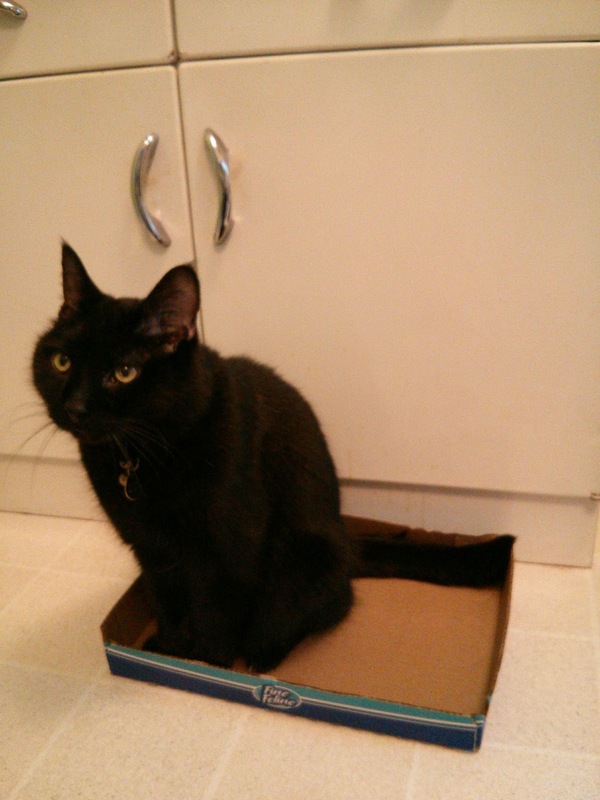 The cats who had boxes adapted better and got used to their surroundings faster. Boxes are a coping mechanism for stress! 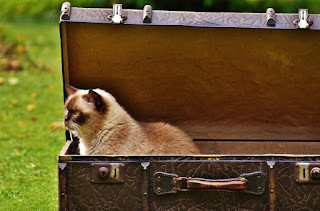 So if you've moved with your kitty or your kitty is nervous, place a box on the ground for them to sit in, maybe with a towel, a favorite toy, or one of your T shirts for them to snuggle in. This safe spot will help them keep their sanity. Another guess is that boxes are insulation. 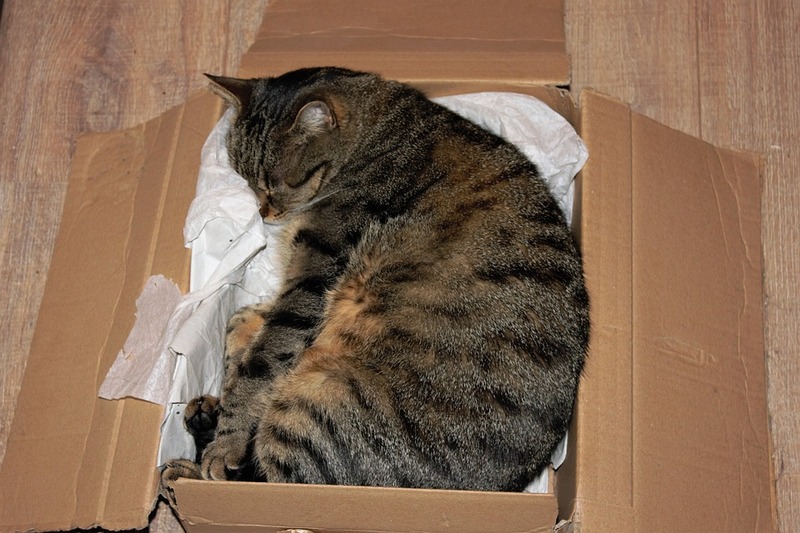 Small confined boxes help your cat curl up into a ball and stay warm. A bigger box can help them stay cool and spread out. 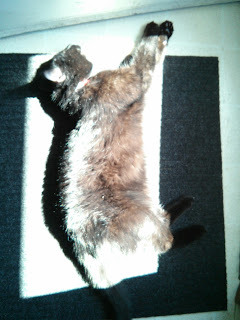 don't forget a cat's body temperature is about 20 degrees more than yours so I'm never surprised when our Vicktor Frankenstein finds the only sunny spot on the floor and lays there until the sun moves. Vicktor recharging in the sun. 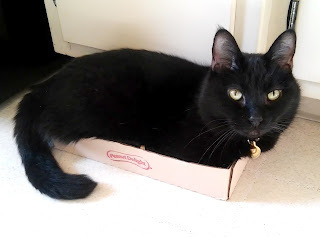 Vicktor in a shallow box. Handsome Vicktor in another box. Of course cats love to explore and boxes can be exciting and new, plus corrugated cardboard is great for scratching too! Always remove staples, tape, handles, and clean the box out first, now make that Home Sweet Home for your cat!